Aptitude is the main component of success. Workshop for aptitude development are regularly organized to help student to reason abstractly, effectively solve problems and think strategically and also help them to learn from past experiences and to apply this learning to work-related situations. This program invokes the participants regarding their career and generates among them proper achievement motivation. The participants after undergoing the program become aware of their strengths and weaknesses and their fitness in the competitive environment. The interactive and participative sessions in WAD are designed to enhance the interpersonal skills among the participants. Individual excellences as well as team performances both are focused in this program. The workshop shall consists of technical sessions by experts along with the interactive and participative sessions for the students on various topics including following. Daily one Written Test & one Comprehensive Test at the end of the program. Interviews conducted by the panel of experts from Education and Industry. The Workshop on Aptitude Development (WAD), a seven day workshop was inaugurated at Shri Ramdeobaba College of Engineering and Management, Nagpur on 4th July 2016.The chief guest of the function was Dr. P.G.Yeole, Pro Vice-Chancellor, RTMNU. Over 200 delegates from various colleges participated in the workshop. Dr. Rashmi Shahu, Convener WAD gave the opening remark for the event. She said that it is not just a workshop, it’s a holistic training program that aims to improve the emotional quotient and communication skills of technocrats. Dr. R.S Pande, Principal RCOEM, welcomed the chief guest Dr.P.G.Yeole. He said that WAD is a wonderful journey that transforms aptitude and explore talent. Dr.P.G.Yeole in his inaugural address appreciated WAD and informed the participants that how wad is going to help them in transforming their personality. He also stated that the world is constantly changing and it requires confident manpower, problem solving skills and professional skills which they are going to learn through these 7 days of WAD. Shri Banwarilal Purohit, Chairman RCOEM, stressed on revolution in technology, simple living, high level thinking and inspired the participants by quoting examples of Dr. A.P.J. Abdul Kalam. He also explain the unity of Nagpur region by saying that just like an orange different religions in Nagpur are tightly clubbed together with each other. The Student Secretary Mr.Mohanish Jaiswal proposed the Vote of Thanks. Student in Charge, Mr.Utkarsh Rathi presented the report of Winter WAD January 2016. The Workshop on Aptitude Development (WAD) a seven day workshop was inaugurated at Shri Ramdeobaba College of Engineering and Management, Nagpur on 3rd July 2017.The chief guest of the function was Dr. P.G. Yeole, Pro Vice Chancellor, R.T.M.N.U.Shri Rajendra Purohit, Secretary RCOEM, Shri Govindlal Agarwal, General Secretary RCOEM, Dr. R.S. Pande, Principal RCOEM and Dr. Rashmi Shahu, Convener WAD were present on the dais. 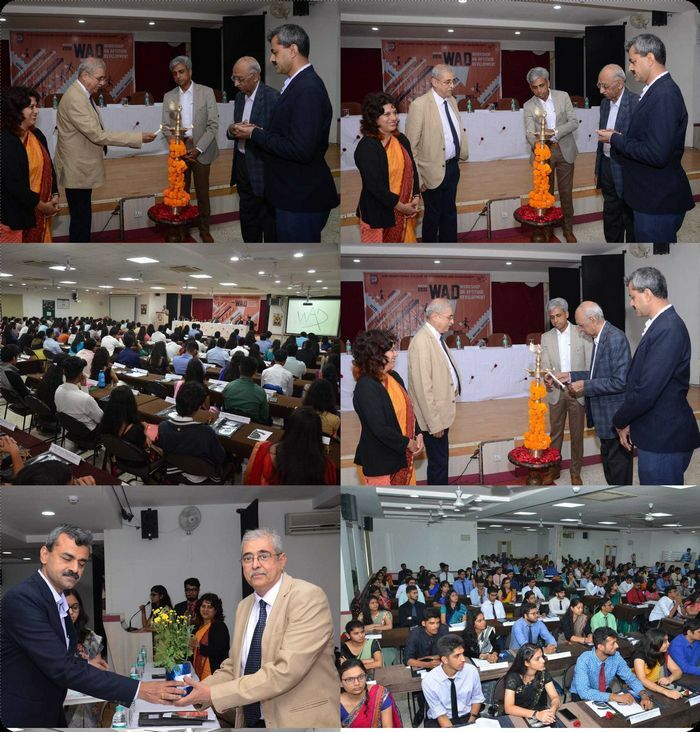 Over 200 delegates from various colleges like IIIT Nagpur, D.Y.Patil College of Engineering Mumbai, Terna College, Mumbai, National Law University Delhi, Manipal University, BIT, Durg and different colleges from Nagpur participated in the workshop. In her opening remark Dr. Rashmi Shahu, Convener WAD, said that the aim of such an endeavor was to explore excellence within an individual to help him reach to highest altitude. Dr. R.S Pande, Principal RCOEM, welcomed the chief guest Dr. P.G.Yeole. He also appreciated such kind of workshops and emphasized on the need to expand them on a local level. Quoting the famous autobiography of Jack Well, He said that our problem is instead of thinking mediocre and achieving it, we should think high and have high ambitions. Dr. R.S. Pande also stated that such kind of workshops prove to be helpful in placement procedure. The Student Secretary Mr. Sarvesh Shastri proposed the Vote of Thanks. Student in Charge, Mr. Sanghpal Wasnik presented the report of WAD WINTER December’16. The 29 th Edition of Workshop on Aptitude Development (WAD), a seven-days workshop was inaugurated with exuberance at Shri Ramdeobaba College of Engineering & Management, Nagpur on 10 th December, 2018. Mr, Mukul Verma, Plant Head, JSW Steel Coated Products Ltd. was the Chief Guest and Dr. Vilas Tambe, a revered anaesthetist from Nagpur was the guest of honor of the inauguration function. Shri Chandrakantbhai Thakar, Vice Chairman of RCOEM, Dr. R. S. Pande, Principal of RCOEM and Dr. Rashmi Shahu, Convenor of WAD were present on the dais. Over 230 delegates from various colleges across Vidharbha have participated in the Workshop. Dr. Rashmi Shahu, Convener WAD, in her opening remark said that the aim of such an endeavour was to explore the latent potential in each of the participant and help them to reach the highest altitude. Dr Rajesh Pande, Principal RCPEM, said that WAD is a self sustainable workshop carried out only by students for the students. He also stated that such kind of workshops prove to be helpful in placement procedure. The Chief Guest Mr. Mukul Verma in his address to the delegates said that one should have good observational skills and assured that this workshop will enable them to enhance the same. He also mentioned that everything and everyone should challenge the status quo and be inquisitive and logical at the same time. Dr. Vilas Tambe, in his key note address, stated the importance of Gurukul system by stressing upon the concept of simple living and high thinking. He elaborated the significance of hard work, introspection, inquisitiveness, self- control and self-motivation. He emphasized upon the importance of being a nature’s lover. He concluded by saying “It teaches one to stay positive and ensure the tranquillity of mind”. In his Presidential address Shri Chandrakantbhai Thakar, Vice Chairman of RCOEM, told all the participants to first be a good human being. He emphasized on the concept of healthy mind in healthy body. He also stressed on the importance of Praying every day and respecting elders and showing kindness towards the other part of the society. The Workshop on Aptitude Development (WAD) a seven-day workshop was started with a zeal and enthusiasm at Shri Ramdeobaba College of Engineering and Management, Nagpur on 19th December 2017.The key note speaker was Ms. Rita Aggarwal, renowned consulting psychologist of Nagpur. Dr. S. D. Mohagaonkar and Dr. Rashmi Shahu, Convener WAD were present on the dais. Over 200 delegates from various colleges participated in the workshop. Dr. RashmiShahu, Convener WAD, said that it is not just a workshop, it's a holistic training program that aims to improve the emotional quotient and communication skills of technocrats. Dr.S. D.Mohagaonkar welcomed the key notespeaker Ms. Rita Aggarwal and wished success to this session of WAD. Ms. Rita Aggarwalin herkey note address appreciated WAD and emphasized that it's easy to reach to the top but difficult to maintain the position. She elaborated on the two guiding principles of life, which are self-actualization and self- realization.She stressed on education and gave the examples of Dr. A.PJ Abdul Kalam,Swami Vivekananda and Abraham Maslow for manifesting true potential by pursuing excellence.She cleared the doubts of students regarding leadership, work ethics and morality. She also answered career related queries. She emphasized that self-realization is a continuous process and concluded by wishing all the delegates success in life. Workshop on Aptitude Development (WAD), a seven day workshop on aptitude building and personality development was inaugurated at Shri Ramdeobaba College of Engineering and Management, Nagpur on 15th December, 2016. The chief guest of the function, Dr. S. K. Mahajan, Director, Directorate of Technical Education inaugurated the workshop. 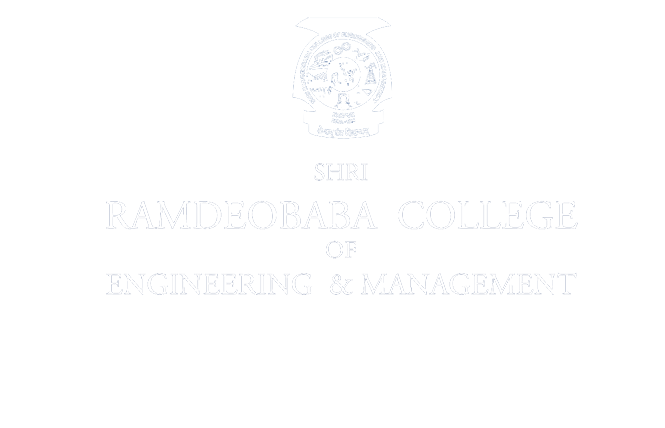 Around 200 delegates from various colleges like SMMCA, Tirpude Institute of Management Education, YCCE, Frankfinn institute, Singhad College of Engineering, Pune, Natwarlal Maniklal Dalal College of Art and Commerce, Gondia etc. participated in the workshop. Dr. Rashmi Shahu, Convener, WAD, gave the opening remark and thanked the chief guest for gracing the occasion. She illustrated how WAD helps the students gain an insight of their latent skills. She also stressed on the importance of aptitude along with the difference between attitude and aptitude. 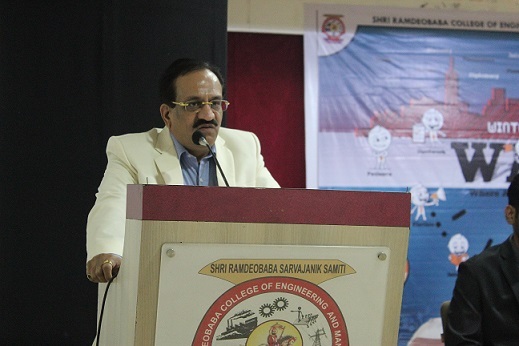 Dr. R.S.Pande, Principal, RCOEM explained the philosophy behind organising the workshop. Dr. S. K. Mahajan, in his inaugural address, stated the three ‘E’ factors that determine our attitude–Environment, Experience and Education and emphasised on the need of inculcating a positive attitude and motivated the delegates to dream big and aim high. He quoted William James “The greatest discovery of my generation is human beings can alter their lives by altering their attitudes of mind”. He also cited the examples that revealed how ordinary people can achieve success in life with extraordinary efforts. He also inspired the audience with the Famous Hindi quote “Koshish karne valo ki kabhi haar nahi hoti” and motivated the students. Shri Govindlal Agarwal, General Secretary, RCOEM stressed on concentrating on books and newspapers rather than mobile phones which inspired the participants. Student In–charge Mr Aggya Singhal delivered the report of WAD Summer 2016. The Student Convener Mr Adhyat Modi proposed the vote of thanks.